In June 2018, we were asked by Saranjit Birdi to donate some water based paint to refurbish a PortaKabin unit on behalf of Citizens Advice Solihull. 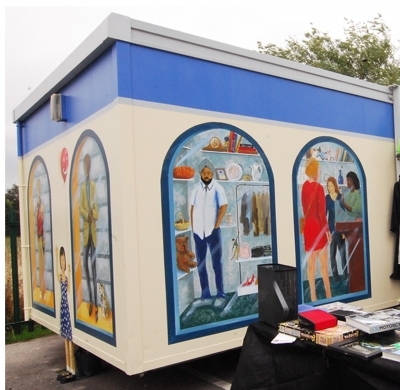 The plan was to locate the PortaKabin unit outside the Chelmsley Wood branch and use it as a pop up charity shop to raise vital funds for the organisation. Saranjit Birdi, the Lead Artist’s brief was to decorate the cabin with a vibrant mural of a shopfront to help attract customers. 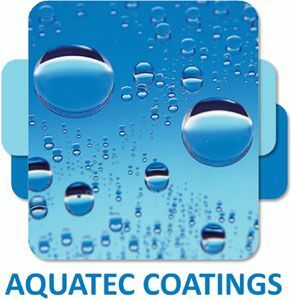 AquaTec Coatings donated a variety of water based paints suitable for use on the exterior of the PortaKabin. The work was completed over series of weeks by Saranjit and collaborating artists, Vincent Palmer and Gary Johnson with the coordination of Kerry Turner, CEO of CA Solihull Borough. The final effect was a lively, attractive shopfront appearance. “AquaTec were fantastic. They gave excellent technical support, had confidence in their product and freely donated the materials towards the project. This was an experimental project for us; we were amazed at the quick drying time and very strong bond of the paint to the substrate. We were very happy with the mural quality.